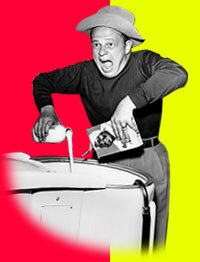 Here are some Web links to Muntz related Web sites that you may find useful. Currently featuring a complete Madman Muntz display including a beautifully restored Muntz Jet on loan to the museum from James Castoro. Bio and history of the 4-track. Muntz TV specimen certificates for sale. Links to Muntzmania 2000 and Muntz Car company. Lessons in cost-cutting and marketing re: Madman Muntz. Letter about Muntz from a former employee from the Stereo-Pak days. All about the Muntz Stereo-Pak 4-track system. Scroll down and click on Muntz Jet for a brief description of a 1950 test drive. Funny story from a guy who claims he owns a Kurtis Cad built AFTER the last Muntz Jet was manufactured.